Iâve been listening for years and have been introduced to so many new and wonderful artists. Thank you for what you do! How to restore the library?? Love this podcast but I just screwed up and want some help! !i deleted the podcast instead of just one song. When I resubscribed I wasnât able to restore all the hundreds of songs from past episodes. Is there something particular I need to do in Settings? Iâve turned off the episode limit. What else is needed?? I miss my favorites. I'm a bit of a super-user of song of the day podcasts. I subscribe to The Current (Twin Cities), KEXP (Seattle), and KCRW (Los Angeles). The Current's podcast is, of course, extra good at Minnesota music. In terms of national acts, KEXP usually uncovers the hot new content a month ahead of The Current. Literally, the Current is often publishing the same songs a month after KEXP. And their bit rate is lower, too. I love 90% of the music MPR introduces me to every day. Unfortunately, there is one HUGE issue that has driven me to the point of unsubscribing to the feed and leaving a one star review: John Mark Nelson. The song "Boy" continues to download no matter how many times I delete it. And it's not even a good song! I am just so tired of dealing with it. Sorry guys, but I've just had it with John Mark Nelson. This group gets it right more often that not, which is impressive given that it's a broad audience music discovery broadcast. Just wanted to take a moment to express a thank you for putting out these great tunes everyday! This is one of my favorite podcasts. 200+ new songs every year, of which I like most and love many enough to go by the full albums. This podcast is awesome!!! Thanks you for introducing me to great new artists and amazing new music. I don't think I would have found some of my favorite pieces of music without you. I am very grateful! I love you 89.3 The Current!! Bobby Womack is alive and well. I am a long time fan of his (from the 70's). Whew! He still has it! I discover so much new music this way. It says I'm subscribed, It says I'm downloading a song, but nothing downloads and there is no link in my podcasts list. Did I miss something?I like the samples. Why won't they download? Thanks MPR for this great use of member contributions. Keep on the cutting edge of technology. I am proud to be a member of such a versatile station and strategic business. 5 songs a week every week every year? I love this. I'm also lucky enough to live where I can hear these songs over the airwaves, but I love filling my Ipod with this stuff. I trust that these guys make interesting choices with this. History has proven time and time again that they know what they're doing. Great Content, Terrible Audio Quality!!! I've been listening to this podcast for at least a year now and I love almost every episode. The music is, as other reviewers say, refreshing and out of the ordinary, in the best of ways. My problem, however, is that the audio quality has recently suffered for whatever reason! iTunes tells me that the recent podcasts, in comparison to older ones which I have saved, are of a lower bit rate. This results in a very low quality sound more akin to listening to the songs over AM radio than as an mp3 download. This is really frustrating, and I've deleted several episodes after only going 30 seconds in because the audio fidelity was so unbearable. Please fix this! I don't want to unsubscribe, but I will!I give 2 stars because MPR deserves 5 stars for song selection and 1 star for audio quality, then minus 1 from that average for not doing anything about it! I've been following this podcast for quite some time, and have liked it quite a bit. They have great mix of interesting music that isn't widely available.Unfortunately, the past 5-6 episodes have had a strange drop in the quality of the audio- think like you're actually listening to it through an AM radio station and that approximates it. The songs are still encoded at 128kbps, but the sampling is down to 16 kHz.If they can fix that, they'll get me back up to 5 stars, otherwise it's a 3 for me. I am such a huge fan of MPR and the Current. The fact that they put a song of the day out is awesome and I wouldn't have known about some of my new favorite bands if it weren't for them. Thank you! How about adding more styles of music. Every song I've heard on this podcast could be filed under 'hipster/comfort/cutesy'. How about music that poses some form of a threat or rebellion or instills even a remote level of danger. By this I don't neccessarily mean punk or metal---just something else, something which doesn't sound like a contender for the next Volkswagon commercial. How about widening our horizons, MPR? I'm a member of this station, so they obviously won me over a while back. The Current plays an astounding MIX of music. Though I don't like all of it, I am a financial supporter because of that MIX. I never would decide to complain about free music! I like to say "you get what you pay for," which works backwards in public radio... If you don't like it, well, at least you didn't pay for it. If you do like it, then go pay something for it! BTW, kcrw & kexp have put up some free songs of the day by Minnesotan local artists! everyone is local somewhere. Lastly, if you like this get their mpr app to stream the current or go to thecurrent.org! What an amazing service the current and MPR are providing with no annoying ads. Just great music every day. This has been great so far. Can't wait to hear more! Sorry for the cheesy title, but I love MPR The Current so desperately, I may move to Minnesota one day so that I can hear it in the car, the tub, everywhere. And I hate winter. For now, though, this is a great way to get a little taste of the best radio station I have ever heard. One song, delivered daily, free to use however you like. Make a mix CD, put it on your iPod, whatever. The music selection is diverse but the songs are generally pretty great and there are some great artists to discover. Check it out! FREEEEEEEEEEEEEEE!!!! Sweet joy for free music!! I love the Current! compared to KCRW and KEXP this station is not as strong for a few reasons:First, they frequently offer edited versions of the tracks, as in chopped down, sometimes dramatically, in the time (all 3 stations zap out the "naughty" words-whatever, we live in the USA). I started noticing this when the song that was over 8 minutes on KEXP's feed was 3 minutes long on the Current, and I've since seen it at least 3 more times, as they seem to be deciding how long a song should be and then pulling out the scissors.Second (relatedly), they are frequently playing songs that the other two similar feeds have already posted (sometimes last year), not that big a deal as they aren't run by the same people but it is definitely a pattern that seems to suggest the Current isn't always as current as its name suggests.Third, if there's a problem with their feed, there is no apparent way to contact them directly to let them know. Their website has a form which solicits membership from you but you never hear anything back from them if you can find a way to send them a message.Fourth, beware the post that starts with the words "Minnesota Music", as these tracks reveal that the local music scene in Minneapolis, like the local scene in my home town, is usually just not nearly up to par. It's a nice gesture to their local artists but local music isn't generally as fresh as local vegetables.Fifth, wish they would leave their posts up longer than 5 days, which is better than KCRW but not nearly as good as KEXP, which has a trove of posts going back over a year. Going on a trip over 5 days? You're out of luck on the posts from when you were gone.Having said all this, you definitely want to subscribe to this podcast, as there is a lot of really great content that comes from these guys. Just saying that they could do a better job at a few things. 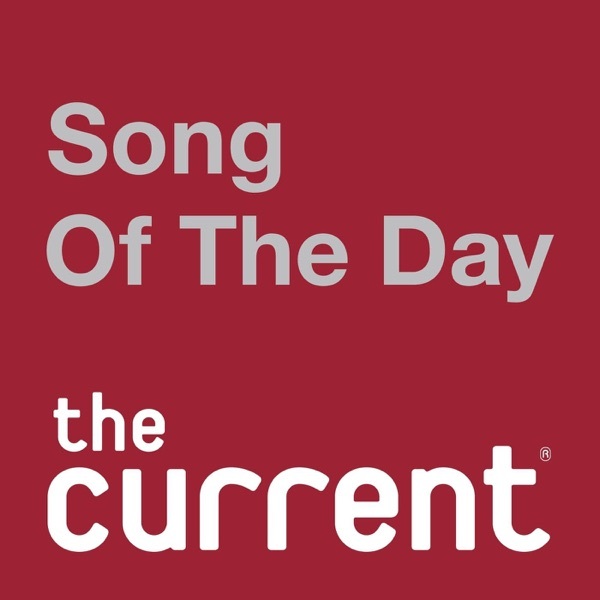 Unlike other song-of-day podcasts, you won't necessarily get the latest free-indie-MP3-song-distributed-by-labels. Many local acts, and some refreshing surprises in the mix. Was 2009 your last song? Ever since the name change from MPR, the updates haven't been daily and now nothing since Dec 31st. Come Back! Please? Good, yet not so good...? I love this podcast as it constantly exposes me to music I never would have heard of before. It is awesome and has some great artists that really need more/better exposure. On the other hand, most of the music is definitely not to my taste. I have been listening for about 4 months now and only have found 2 songs that I truly enjoyed and must keep. Of course to make things more interesting, they are not even in genres I would have ever considered listening to before. So I guess I have to give it 5 stars for this purpose. It's just not a very good selection of music. Unless your into the new "i sing like I'm from the U.K." punk pop. I'm always on the look out for new good music. And this podcast consistently disappoints; deleted. MPR provides a unique selection of artists I love and new artists I'm beginning to love. I'm currently living in Idaho and the music selection is a sad assortment of pop and christian. This podcast helps me find new music and shows how much talent comes from Minnesota. Daily dose of fresh music! Look forward to it each evening for something different and refreshing in music. This podcast has introduced me to so many musical gems!! I don't know what I would do without it! MPR knows what they are doing. There is a little bit of everything for everyone. I've found artists and songs that I wouldn't normally run into because I would have never listened to the song on my own. The podcast is free which makes it perfect for anyone that really wants to be exposed to some new artists. I'd say I typically rate the songs, on average, at about 3 1/2 stars. There are songs I don't like but there are a LOT more songs that I rate all the way to 5 stars and can't stop listening to! Check it out, you're not losing any money for trying! I subscribe to several song-of-the-day-style podcasts, including KRCW's and KEXP's and IndieFeed Indie Pop, but this one is by far my favorite. The music is just awesome, and I look forward every day to hearing the latest installment and discovering new artists. I've even found myself enjoying songs that I would never have sought out on my own, because I wouldn't expect them to be "my style." Well done, MPR! something different and sometimes strange, in a good way, this podcast finds a wealth of good music that would otherwise remain unheard by most people. a must do! This is an awesome podcast. I love the current radio station. I live in Minneapolis and I am a member. Unfortunately I have to move for 3 years and this radio station is part of the reason I am already itchy to move back to town! This podcast has a huge variety of music. I've discovered many new bands from this podcast and this is a must for any music lover. The songs are always interesting and most of the time a song I've never heard before. one song per episode, i love it! This podcast delivers a great selection of contemporary music (stuff unreleased, stuff i would never have time to check out, and usually stuff i wind up totally digging) to my itunes daily. Judging from how many of these songs i listen to over and over again --I have been subscribing for about a year and i have kept nearly 200 songs from this podcast that i play regularly-- this podcast is well, WELL worth subscribing to. I have found some great albums this way, and some artists I would never have heard and now love. Thanks MPR! You rock. I've been a listener for 4 years now. And I still find great new music on the current. The fact that they are about the music and the artists rather than about the "popular" music makes a great personal feel between the DJ and the listener. If good to know where bands are playing too. Public Radio rules. Hands Down Other stations just don't have the guts or freedom to do what THE CURRENT has to offer.